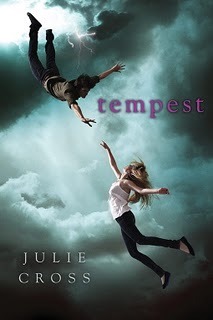 The Crazy Bookworm: Tempest by Julie Cross Giveaway! I have one hard cover copy of Tempest to give away to one lucky winner! I loved the audiobook of Tempest! I definitely would love to have a hardback of the book! Thanks for the awesome giveaway! I've heard so much good about this book! Lovely cover art. That alone would make me want to pick up the book.